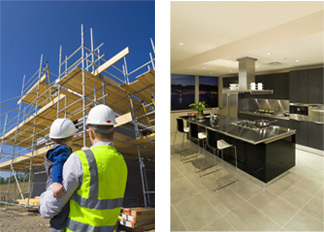 Manchester & Northern is a local Specialist Building Contractor with an extensive knowledge of the construction industry, that is large enough to cope, but also the ideal size to give close personal attention to every project. Since our formation in 1986 we have remained a family run business and have built an outstanding reputation for our commitment to quality, reliability and service throughout the North West. We offer a full range of services from a Design and Build concept through to completion, incorporating total new build, conversions, fitted kitchens and bedrooms, bathrooms, extensions, renovations, swimming pools, home gyms/leisure suites and home cinemas. Whether your project aim is to embrace the innovations of contemporary living or celebrate traditional home comforts, we at Manchester and Northern have the necessary skill sets to deliver projects on time, to budget and quality of finish, which surpass our clients’ expectations. We acknowledge that it is at the construction stage in any project that our clients feel most exposed and that success depends on the dedication of each member of the construction team. Our commitment to you our client goes far beyond the completion of the project as our after sales services is always on hand should the need arise. To back up further our commitment all our work is fully guaranteed and we are full members of both the NHBC and Federation of Master Builders (incorporating Trust Mark Government Endorsed Standards). As a northwest quality building contractor Health and Safety has been a high priority, not only for our employees but also for our clients safety. We fully embrace the requirements as laid down under the Construction (Design Management) Regulations and use the very latest software to help produce our Health & Safety Documents, Risk Assessments and Method Statements. with the requirements of the Quality Standard BS.EN.ISO9002.